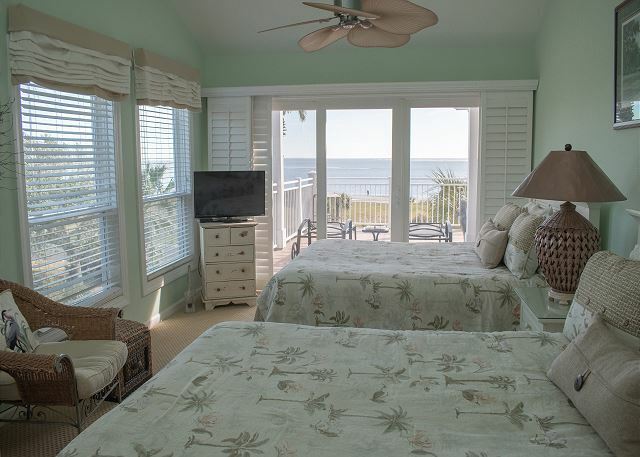 Our second floor upstairs end unit is across the street from the ocean and beach club. 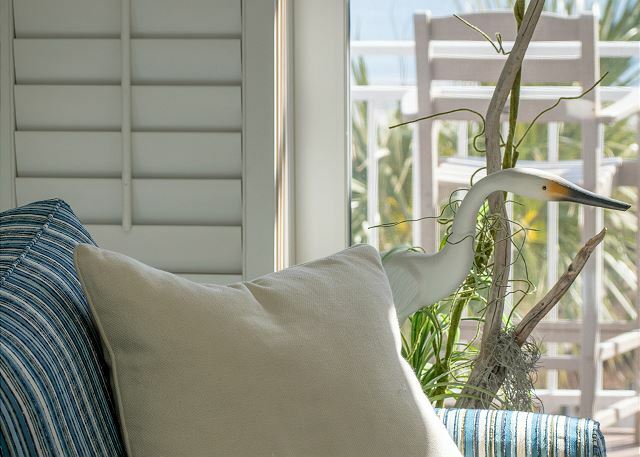 It features spectacular panoramic views of our 3 mile private pristine beach with stunning sunrises, sunsets, playful dolphins and other wildlife from the large deck, both master bedrooms, kitchen and living areas. 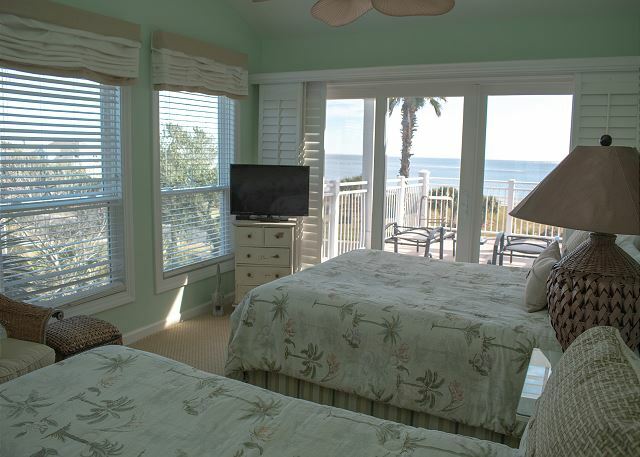 Wake up with the ocean front sunrise views from your bedroom window! The large deck functions as an outdoor living space accessed from all rooms and is furnished with lounge chairs and pub style dinette set. The villa features ocean views from the living area/breakfast area. 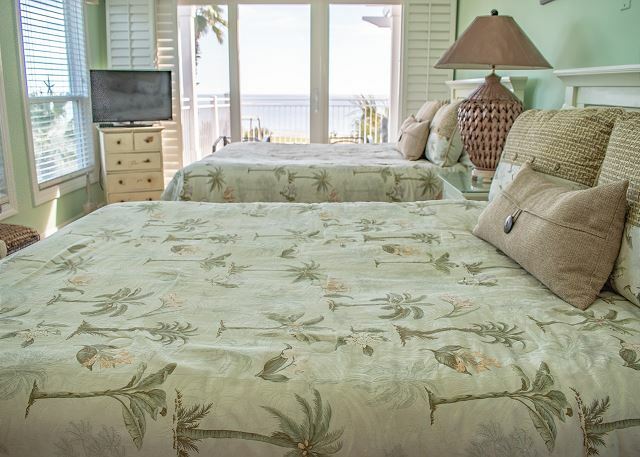 The large master suite is appointed with a comfortable king bed and nice linens. There is a large sitting area with two club chairs and a flat screen TV. The second bedroom offers two queens, a full renovated bath and TV. Enjoy free HBO in each bedroom and the living room. NEW LARGE flat screen TV in living room. (not pictured yet). Other features include hi-speed cable internet with wireless connectivity. Beach access is just across the street via Boardwalk #7. Weekly rental is preferred. NO landline in this property. Cell phone use only. Beautiful villa with a great ocean view. Interior decoration is extremely well done. The nicest villa we have stayed in at the Atrium. 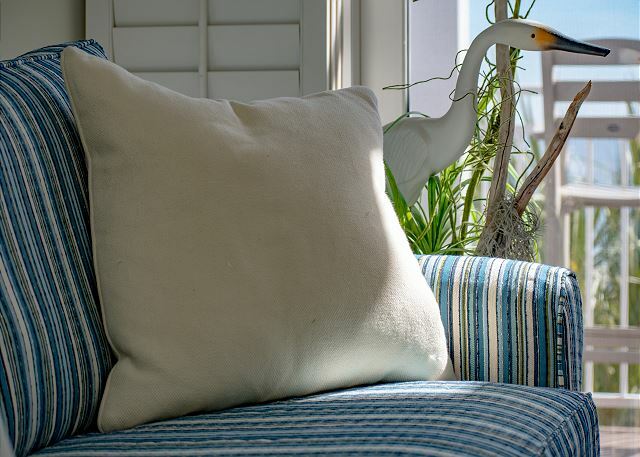 Very pleasant experience with Seabrook Exclusives. We really enjoyed our stay at this villa. It was very nicely decorated, cozy and comfortable. We loved the beautiful and spent a lot of time on the deck. It was so great that it was shaded during the afternoon hours. We will definitely stay at this villa again. It was so nice working with Seabrook Exclusives. As always, they were very accommodating and helpful. Wonderful...even with it being off-season. The unit was really nice. One bedroom could use some updating. Excellent vacation unit. Beautiful view and extremely nice accommodations. Our temporary home base for exploring the South Carolina coast was exceptional. We only wish it could have been a longer stay. Good although pool and Pelican bar closed for repairs. Tried to fish the Lake House Pond, but was so overgrown with vegetation was difficult to fish from the shore. Would suggest that the vegetation be cot back and in some cases removed altogether to gain better access. Our experience was quite positive. 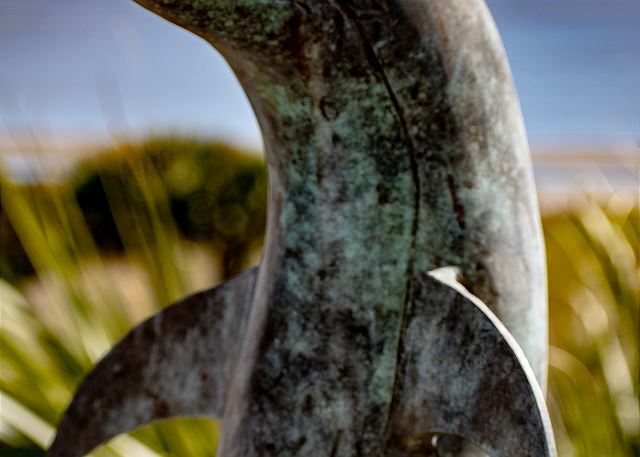 The location of the condo relative to Seabrook amenities is the best feature. The condo is nicely appointed. All appliances, HVAC, etc. in good working order. My husband and I had a perfect getaway. We particularly loved the view from the condo. We were amazed at the number of dolphins we saw swimming. Also the beach is very easy to walk on as it is flat and didn’t bother my feet. The condo was clean and had all the amenities we would expect. We decided to drive to Kiawah and try a couple of restaurants The 48 Wine Bar is our new fav and cantina 76 has the best Mexican food😊! Thank you Georgia! Very nice location and unit. Great view of the beach. Nice and relaxing. 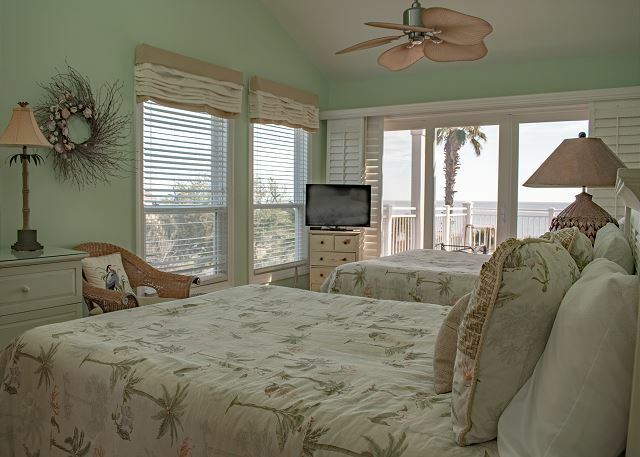 Seabrook Exclusives was very helpful in preparing for our arrival and planning our vacation. The villa was well equipped with supplies for a family of four and was comfortable for the time that we spent inside. 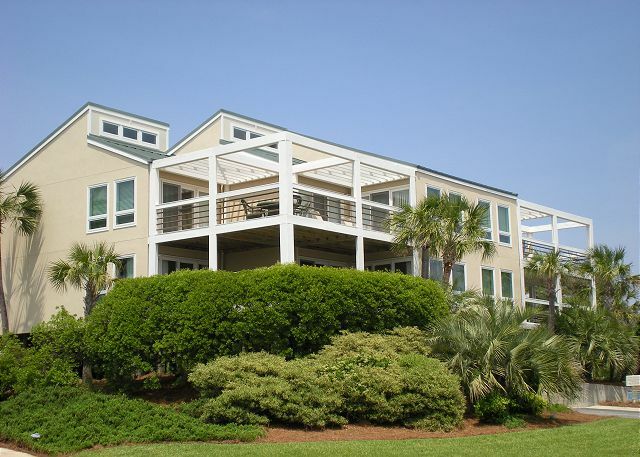 The location of the villa was convenient to the Island Club house, beach, and outdoor pool. It was a almost perfect experience. We relaxed, we used all of the amenities and we left happy. The unit and kitchen are well stocked. I would say more so than others we have stayed in. We will return. 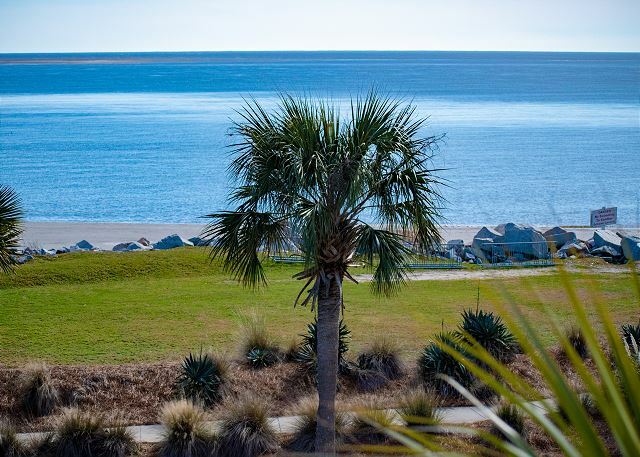 Great views, nicely appointed condo, quiet surroundings, and enjoyed Seabrook Island. 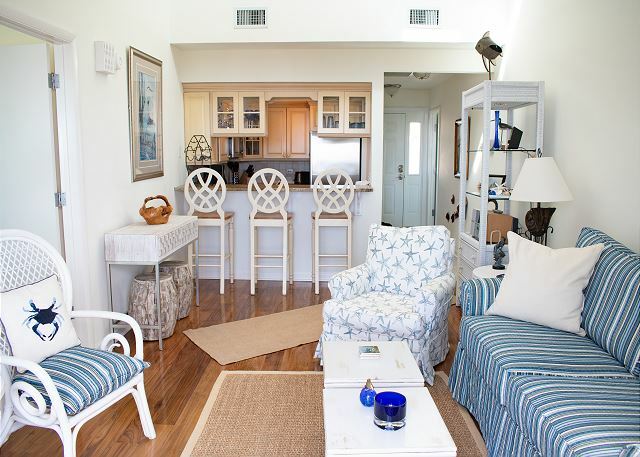 We have stayed in many atrium villas as we love the location - close to the pool, ocean, game room, and Pelican's Nest (where we eat most of our meals), not to mention elevators and luggage carts make it easier to pack and unpack. This was BY FAR our favorite atrium villa! Breathtaking views from the corner porch (which came in handy since I had to work on my laptop from there half of my vacation)! The decor is absolutely beautiful and we loved the skylights in the bedroom, perfect for a peaceful daytime nap. Can't say enough about how much we enjoyed this place! We all enjoyed using the fancy shower to bath off all the sand from the beach too. And the kitchen was well appointed - allowing us to cook and make treats with the kids some as well. Hope to return again asap!!! Also the management company is super friendly and accommodating! 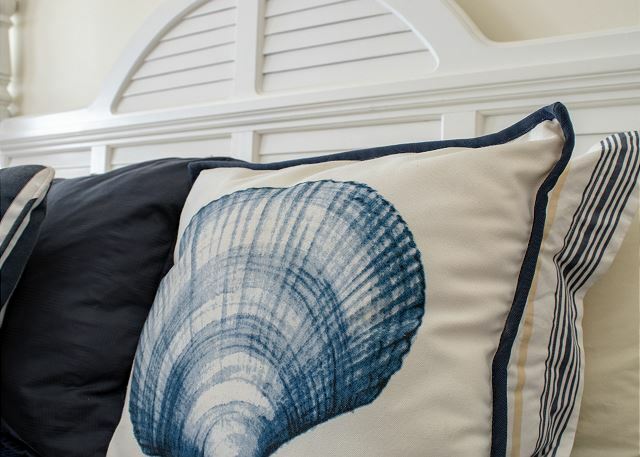 Excellent accommodations; services provided by Seabrook Exclusives were not only very professional but very personable as well! A special thanks to Betsy for all her help from booking right through departure. Can not wait to return! The Villa was very clean , decorated nicely and convenient to ocean activities. The view was outstanding. Beautiful villa and fabulous view! This villa was fabulous...very spacious and well-stocked. The views were amazing! However, the week we stayed (2nd week of May) the restaurant by the pool wasn't open. It was a little more secluded than we had expected as well. Overall, it was a great vacation, and I would highly recommend it! We loved this place! It was perfect in so many ways for my family. The villa had all the amenities we needed. 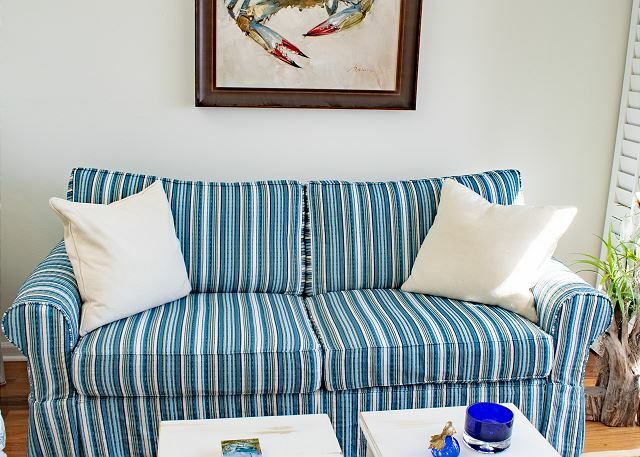 It was very comfortable and clean, and very well decorated for the location. The views from every room are unbelievable! We cannot wait to go back. After this experience, we would never choose a hotel for our vacations. Thanks to Kathleen and Susan for their assistance and patience in us finding the perfect place for our first visit to the Charleston, SC area. Very easy rental experience. All questions answered prior to arrival. Will stay here again. Great amenities in condo. All furniture well cared for. Awesome view. Beautiful island. I agree with all of the good reviews. This villa is better than photos and probably the best equipped of any we've stayed in. Great shower in the master bath! Understandably, the outdoor pools and island restaurants are closed at the beginning of March and the dining options nearby are limited. But, we strolled the beaches with few others. Quiet, restful, and no snow! Seabrook Exclusives very helpful. 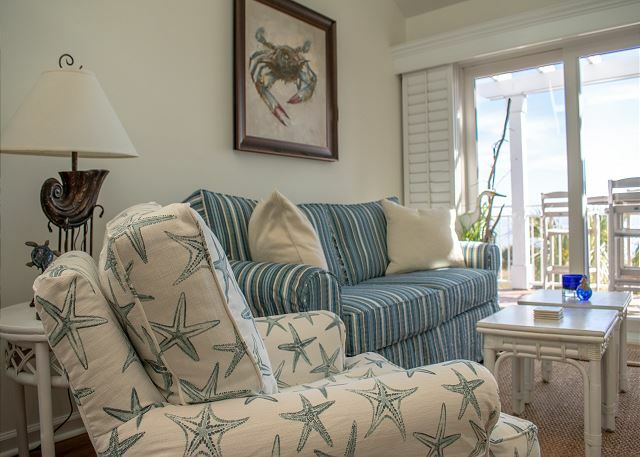 This beach condo was a perfect fit for my family. We are married with two girls. The size, location and large deck was exactly what we look for. We walked the beach at sunrise every morning, had meals on the veranda and were steps from the beach. With young kids that go to bed early- being able to look out at the sea is a must for us. We had a small issue with an appliance and the managing agent was literally at our door in 5 minutes to fix it. Kitchen was fully stocked for us to cook. I spoke briefly on the phone with the owner prior to booking and she was lovely and informative. Everything was fantastic! 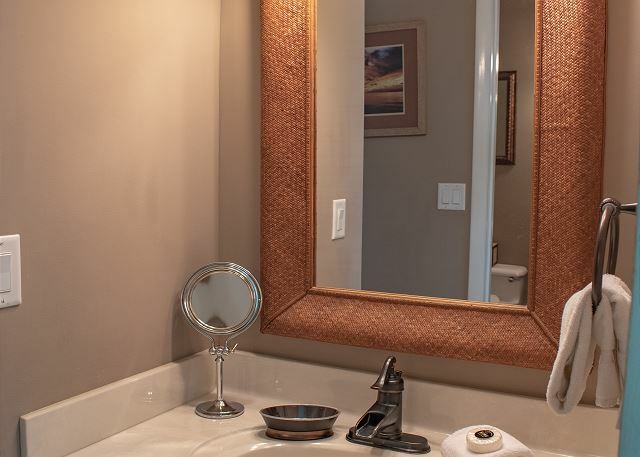 The location is totally private, quiet, and near the all the places you need to be. The unit itself was exactly what was described and very clean. 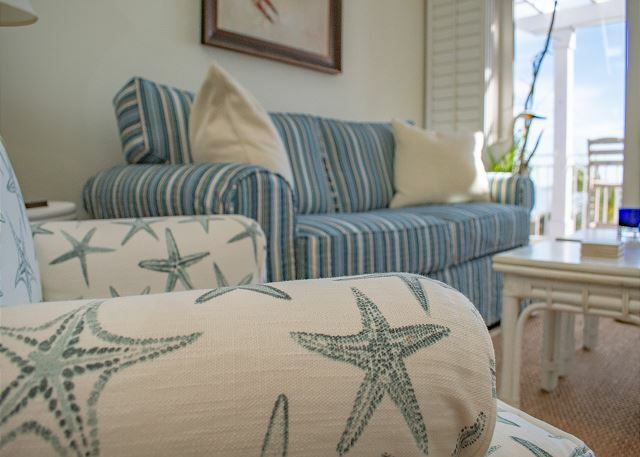 We would definitely stay here again to hear the beautiful waves hitting the beach! We liked the location but found the steps more tiring than anticipated for one 81 y/o. Having garage parking was an unexpected bonus. The living room was much smaller than expected. There was comfortable seating for 5 max. (plus 3 bar stools) for a condo sleeping 6. Kitchen better supplied than needed especially with NO SPACE to store food items (cereal, crackers, rice, peanut butter, etc.) Beautifully decorated but too many decorative items on tables and shelves which had to be moved to make room for some of our things. Closet in master very awkward due to storage of other items. Unit we rented is nice. Great beach and beach club. View is amazing. Only few glitches for us-- one second key was not left and when it was dropped off it didn't work well. And the cooker/stove was replaced during our time there. We loved the Atrium Villa condo! It was so close to the beach that we could hear the ocean. The master shower was the ultimate luxury - I will miss that the most! Check in was a bit confusing as we were directed to get our keys from the lockbox, but the property manager was quick to respond and get us into the condo. We would definitely return and request this unit! 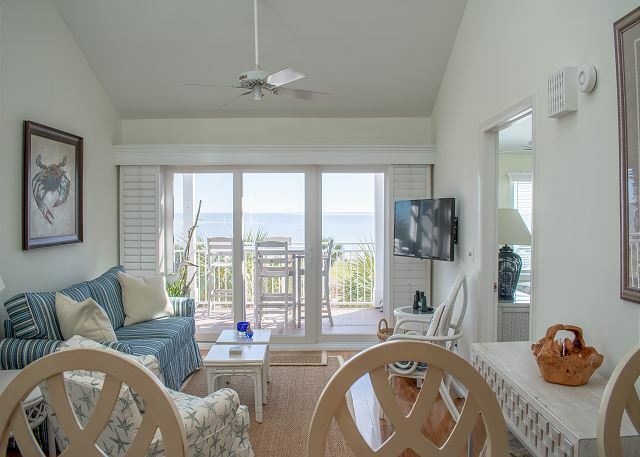 Atrium 2922 is very convenient to the Seabrook Island Beach and associated dining and recreational amenities. 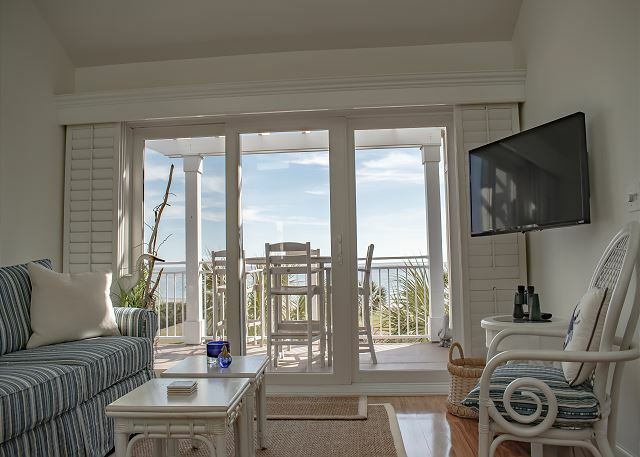 It affords a great view of the ocean and the breeze on the porch is comfortable nearly constant The unit is nicely appointed. Atrium 2922 was beautiful and clean and just the space we needed. Our condo was in a great location. It was within a short walking distance to the pool and ocean. The only thing it was missing is a garbage disposal. Beautiful view and outstanding unit!!! WE are already booked for nexr year! We love Seabrook and this unit. Had a great time! I felt safe and secure at all times. This was our first time staying in Atrium Villas and we think that we picked the best unit. The property was clean and nicely updated and the view was perfect. We will stay here again. This is our third vacation to Seabrook- and this is by far the best property we have stayed at. Location is perfect- and the view is wonderful. Property was very clean and we had everything we needed. We will definitely be back! 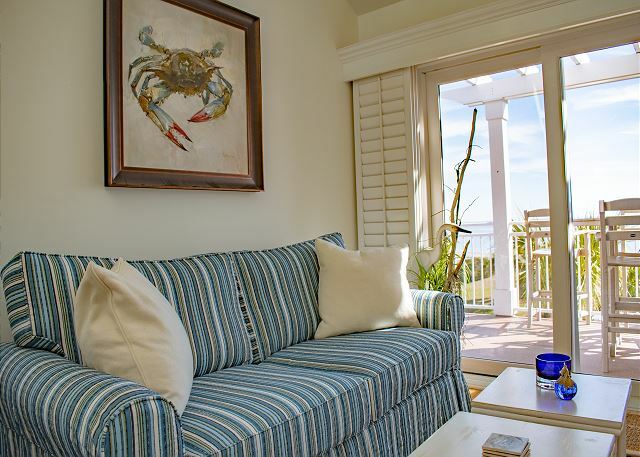 A perfect location for both the golfer and beach lover, convenient to both. This condo is great for 4 or less, the dining-in options are limited if you're planning family meals together, otherwise a great property! 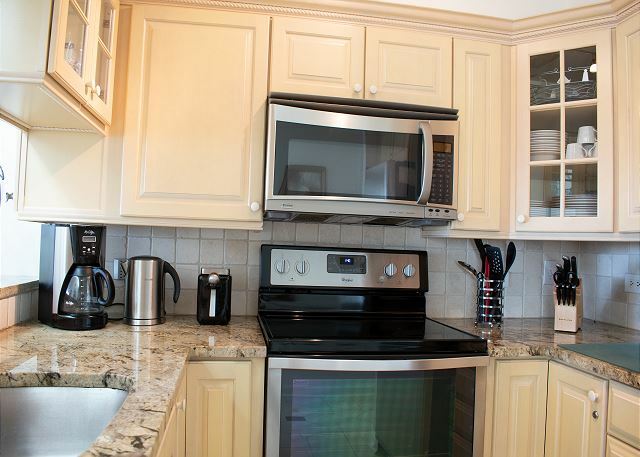 Great location, cute decor, ocean view, helpful management company. Only criticisms are that place needs more things like towels, but overall a nice experience. Home and property were very clean. 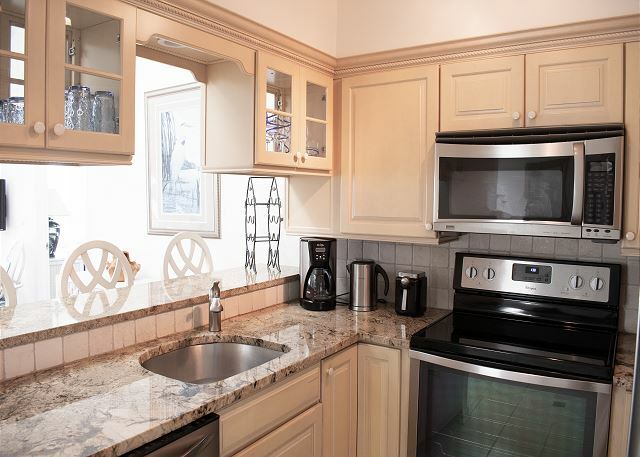 Kitchen was well-stocked, and the view of the beach was amazing. The street in between us and the beach was quiet and took nothing away from the experience. Jetted shower in master bath was to die for! Thanks so much. We have stayed at this villa several times. We love the location. Great property!! Perfect location and great decor, but very hard to sleep with a sunrise at 5:40 AM and no shades for top windows in the bedrooms. Kids and parents were exhausted by the end of the week because the sun woke us up every single morning before 6 AM and the sunset was not until after 9 PM. (I think all of the top floor villas have high windows like this.) Also, it sleeps 6, but the table outside only has room for 4 and the foldable table inside is hard to use in the tight space. Also, not a lot of space to put groceries in the kitchen if you decide to cook there. They also only provided 4 sets of towels and there were 5 of us. I had to do laundry every day just so we could each get a shower. It is a beautiful property though, and it couldn't be more convenient to the pools/beach club which was wonderful. Second time renting this property! We loved it this time as much as last time. Can't beat the view and the location is perfect! Really great place, we already plan to return asap. Great place, we plan to return asap. We have stayed at 2922 Atrium MANY times,we feel like it is OUR summer home. Atrium Villas are awesome, just walk across the street to the beach....the view from the balcony is the greatest! Loved this villa! Beautiful view!!! We thoroughly enjoyed our stay at 2922 Atrium Villa. The views from all rooms and the balcony were as advertised abd the villa was decorated very nicely. We enjoyed daily long walks on the beach and saw plenty of dolphin and deer. We were looking for a week of peace and quiet and we certainly found it. We'll be back. Absolutely amazing view! Perfect location for the beach and pool. The Seabrook Exclusives team is fantastic! Hope to come back again in Sept and will only rent from them. They are so kind, helpful and professional. They are number 1 in my book! 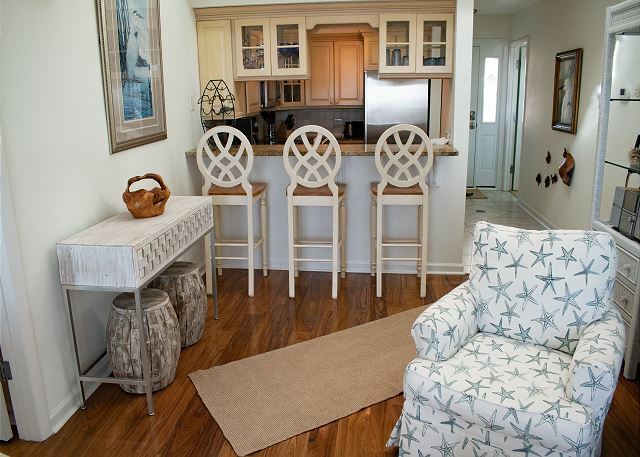 If you are looking for breath taking views and enjoy watching and listening to the ocean, this unit is a must. Relaxing on the wrap around deck, watching dolphins swim by and those diving pelicans are incredible. This will absolutely be a return vacation for us. This was our second year staying in this unit. I hesitated giving it a great review because I want to keep it our secret! We can't wait to come back. Seabrook is beautiful, with a great beach and club. So close to Charleston too! What a gem!